During a surprise Amazon event today, Amazon unveiled a series of Alexa-enabled devices. Many don't come as much of a shock, seeing as how Amazon had already reportedly been working on these devices as we previously reported on Shacknews. Here's a listing of the new devices Amazon showed off today, including a new microwave, which may be the weirdest thing Amazon has announced thus far. What's even weirder is the price. 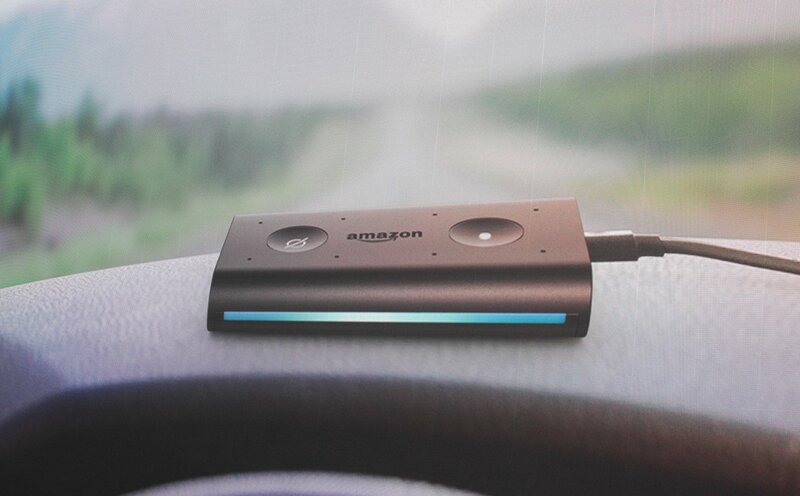 First off, the Echo Auto is an upcoming $50 dashboard accessory that will allow you to change music, call people, interact with your home appliances, or work with the rest of your Alexa-enabled goodies while on the road. It will enhance hands-free experiences significantly, but make sure you're not sitting around chatting on Alexa instead of paying attention to the road. Now you can incorporate Alexa into your auto setup, with the Echo Sub. The speaker can be paired with an Echo to create a decent makeshift sound system. For $130, you could probably do worse, and it's cheaper than several other sound setups, but it's not clear how it's going to sound at this point just yet. The refreshed Echo Show gets a redesign that gives it a new 10-inch screen, as well as other cosmetic and software enhancements. The bigger screen gives you much more real estate and a built-in Skype app so you don't have to resort to using the Alexa app, as well as an enhanced price tag, too: it's now $229. The new Fire TV Recast wants you to throw out your DVR, as it presents a device that, for $230, will help you record live TV and stream it to other devices in your home. It uses a digital antenna and you can put it anywhere you'd like. Then your recordings can be sent to your Fire TV, Echo Show, Spot, or whatever iOS/Android device you choose. This camera comes in both wired and battery-operated versions and you can use it indoors or outdoors. After Amazon purchased Ring, we knew something like this was coming, but just not when. It will retail for $180. Technically, Alexa isn't the biggest attraction here, because it's just a cheap microwave. It does feature Alexa controls and Dash functionality, however, though it's not able to use voice controls unless you communicate with another Echo device in your home. It will retail for just $60. 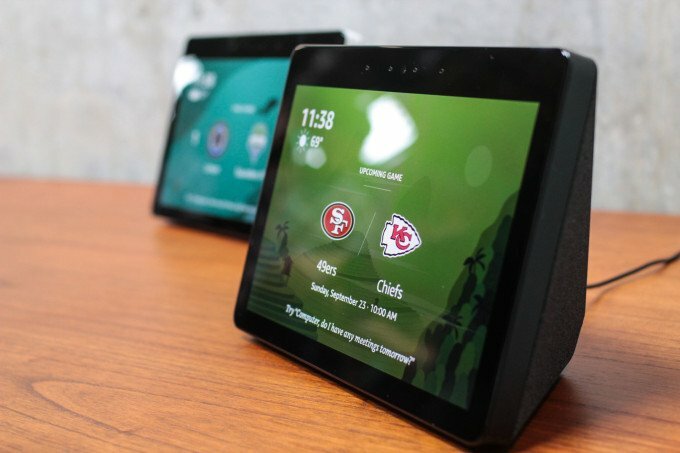 The new Echo Plus will be covered in fabric and going for $150, so if you're still rolling with your Echo Pro, you can nab a decent upgrade that features a smart hub and offline commands that will still work without wireless internet. It also comes with a temperature sensor so it can help you figure out what the temperature is outside while also handling your climate control inside. This cheap amazon Basics wall clock goes for just $30, and can be used with your favorite Alexa devices. It features a 60 LED ring of lights and can display timers or alarms you have set up with the assistant as an attractive circle of light. Pretty fancy. Amazon will be introducing its own Echo Smart Plug, the Echo Link and Link Amp, and updates to Alexa herself. The new Hunches feature will let Alexa offer suggestions for things that it feels you may have forgotten, while Guard Mode will let Alexa listen for things other than its name to help protect your home. Pretty nifty. For more updates on what Amazon has planned coming down the pipeline, and how you can get even further connectivity with your Alexa-enabled devices, keep it locked to Shacknews.